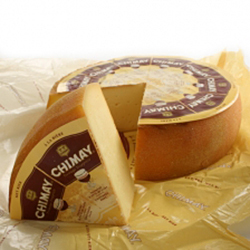 Chimay à la Première is the most popular Chimay Trappist cheese in America. Like all cheeses made at Belgium’s famous Notre-Dame de Scourmont Abbey, Chimay à la Première starts with only the freshest, local, pasteurized milk of the highest quality. The Cistercian monks oversee production of each wheel within the monastery before the cheese is moved to the abbey’s vaulted cellars for a careful maturation process of six to eight weeks. The union of Chimay’s two Trappist traditions produces a unique, semi-soft cheese with a natural, sticky rind. Its dense paste possesses a delicious apricot-peach taste and aroma, enhanced with a hint of bitterness from the hops and malt. Application: Fruity and intense, Chimay à la Première is a distinctive addition to any cheeseboard and makes a flavorsome statement in grilled ham and cheese sandwiches and sides like mashed potatoes. It goes great with fresh fruit, especially pears. Pairing: Chimay à la Première, of course, pairs perfectly with a strong Belgian Trappist beer. Oleificio Melchiorri, situated in the picture-perfect Umbrian town of Spoleto in central Italy, caters to the most discerning connoisseurs. Primarily known for crafting premier quality olive oils for over 50 years, the Melchiorri family features their exceptional olive oil in each of their additional Umbrian specialty products. 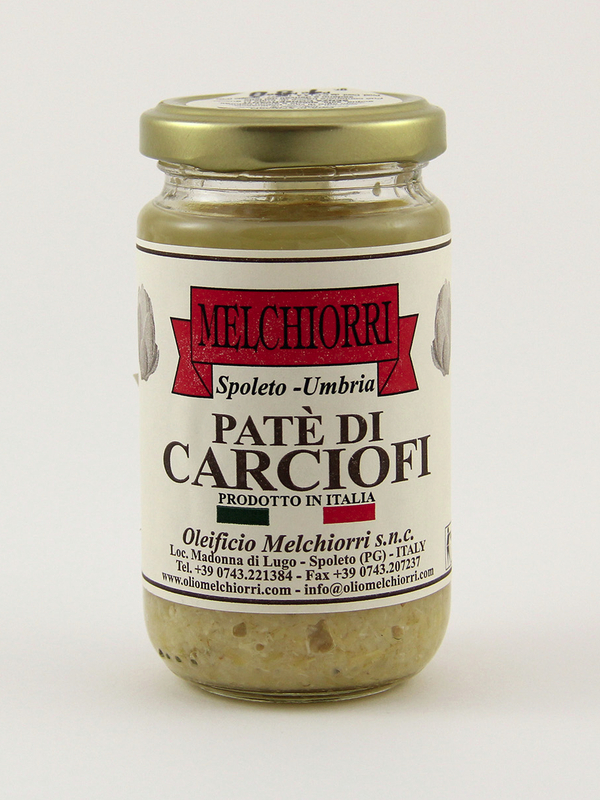 Melchiorri Artichoke Paté is a traditional element of Umbrian cuisine. Handmade with fresh artichoke hearts, fragrant spices are added to intensify the flavor. This paté is perfect simply on toasted bread but is also wonderful for incorporating into risotto or pasta dishes.